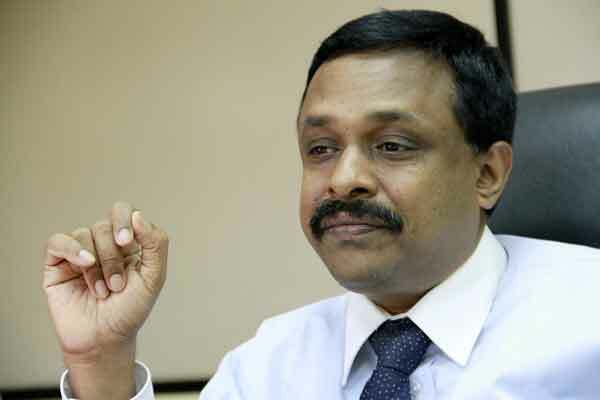 Civil Society activists are up in arms against the appointment of former Telecommunications Regulatory Commission of Sri Lanka Director General Anusha Palpita as an Additional Secretary of the Home Affairs Ministry, when he is facing charges of allegedly misappropriating over Rs. 600 million for the distribution of Sil Redi on the eve of the last Presidential election. They questioned the rationality of the appointment in the public sector when Palpita is facing charges of criminal misappropriation of public funds. The Financial Crimes Division filed charges against former Secretary to the President Lalith Weeratunga and Palpita for misappropriating Rs. 620 million for the distribution of Sil Redi among Buddhists in expectation of their votes for the victory of former President Mahinda Rajapaksa at the last Presidential election. According to the Campaign for Free and Fair Elections (CaAFE), the Home Affairs Ministry has disregarded all principles and practices of good governance by appointing Palpita as an Additional Secretary. “This shows that the Home Affairs Minister is committed to protect the rogues in violation of all Financial and Administrative Regulations,” CaAFÉ said in a statement. The CaAFÉ states that the Ministry has put the government into disrepute by making such an appointment . The organization said Palpita was allegedly involved in the largest misappropriation of public funds ever taken place in this country . “The CaAFÉ is aware of the political pressure exerted on the investigators when charges were being filed against the accused including Palpita over the alleged misappropriation of public funds,”he said. National Movement for Social Justice Convenor Saman Ratnapriya yesterday called on the government to suspend his services from the public service till the conclusion of his case. He has been charged with plundering public funds and he should be brought to book without leaving him more room to plunder public funds. “This government has callously disregarded all norms and practices of good governance my making Palpita an Additional Secretary of the Home Affairs Ministry,”he said. Ratnapriya said that they are against this appointment and will raise objections with the government. Gamini Viyangoda stated that the appointment of Anusha Palpita as the Additional Secretary to Ministry of Home Affairs by this good governance government is tantamount to throwing its good governance feature into the dustbin. He stated that the intelligent people in this country took an intelligent decision on January 8 but this appointment is another betray of those people’s decision by this government. He also said that the President and the Prime Minister of this country who pretend to be the guardians of good governance are answerable to the people on this matter. Viyangoda said further that Anusha Palpita is an accused of a criminal case of misappropriation of public funds. He added that the case is being heard and this appointment was a burglary committed in the broad day light.